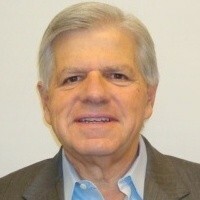 Frank Caperino, has been a Multi-Unit Franchisee for fifteen (15) years. He owned and operated eight (8) Cold Stone Creameries. He has been self-employed for a period of thirty (30) years. He has a Bachelor Degree in Electrical Engineering, an MBA in Finance and is a Certified Financial Planner (CFP). He presently teaches Finance as a faculty member of Southwestern College and a Franchise Management Course at San Diego State University. He wrote a book on Franchising called, "Buying a Franchise, 24 Items to Beware of before Signing!" He presently is a Franchise Consultant working with Franchoice. During his years at Cold Stone Creasmery, he was a member of the CEO'e National Advisory Board for 8 years, elected by the Franchisees. He was also a Founder and President of the Cold Stone Creamery Association. Frank has spoken at many of the Cold Stone Creamery Annual Franchise Meetings. He has also spoken in Europe on Celebrity cruises about his overseas travel. Frank has lived in Italy and Japan for 7 years. Most people who work with Frank, know him as FranchiseFrank. Find out more about FranchiseFrank at http://franchisefrank.com.